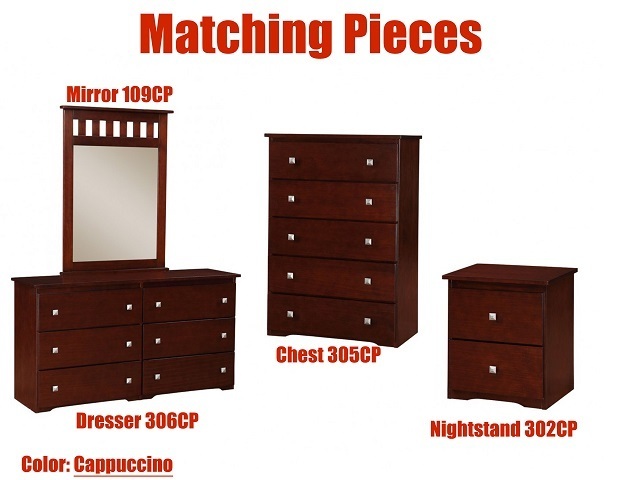 Twin Captains Bed Set: Price is for Twin Bed (Bed Details Above) - 250TCP - 3 Boxes for Bed, 1 Nightstand (302CP), & Chest (305CP) - Pictures of matching nightstand and chest below. Full Captains Bed Set: Price is for Full Bed (Bed Details Above) - 250FCP - 3 Boxes for Bed, 1 Nightstand (302CP), & Chest (305CP) - Pictures of matching nightstand and chest below. Price does not include mattresses.